Security of a commercial property is important, and most businesses nowadays are making the move to key-less entry and access control lock systems. Many businesses however still incorporating and counting on the traditional commercial grade door locks and deadbolts to protect their property. In order to keep up with modern technology when it comes to business security, it is important to at least review the various options to take the security of your business to the next level. Many types of high tech lock systems that are available for business in the market are push-button or touch pad key-less entry systems, access card control systems, bio-metric key-less entry systems, and more! However, these types of lock systems tend to be expensive and for small businesses not much useful as most have endless features to accommodate a business with high number of employees. At the same time, protecting your business property by incorporating modern technology lock systems to avoid being a victim of a break-in and theft is a high priority as well. Standard locks meant to keep people out. However, a burgles or intruder who might have the skills and the right tools, won’t have any issue defeating a traditional lock or a deadbolt bu using various methods such as lock picking and bumping. The special tools require to use those methods such as the bump key for example are easily accessible online which makes it even more security hazard for your business property. These methods will allow a burglar to defeat a standard lock in a matter of seconds without leaving any trace that the lock was broken into. Another security hazard that existed for business properties that still incorporate traditional locks is key duplication. A key that is given to an employee is exposed to unauthorized duplication. With many places that provide key copying services, making a copy of of a key to your business property by an employee or anyone else that might get a hand on one, should be easy and untraceable. 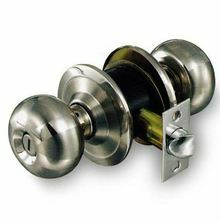 With refreshing the security of your business property with high security locks your business property will be protected against the usual break-in methods used by burglars and more.Most commercial grade high security locks come with an independent locking mechanism that is normally pick and bump proof. Most of these high security locks will come with a special key that cannot be duplicated at the local hardware store or a key duplication vending machine except for a professional certified locksmith. This will provide the assurance that no employee will be able to duplicate a copy of the key to your business. Most commercial grade locks will come with a solid steel door strike plates and frames so forced entry would be extremely difficult for the average burglar. 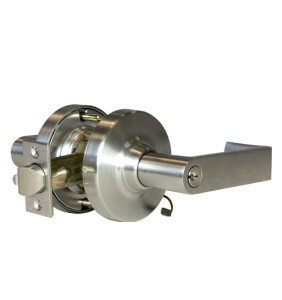 For more information about commercial grade locks for your business property, contact NorthWest Locksmith Reno (775) 276-5673. This entry was posted in Locksmith Tips and tagged business, commercial, deadbolt, key, lock, locksmith, locksmith reno, reno, reno locksmith, security. Bookmark the permalink.